By administrator in IMC Exploration Group (IMCP) on 4th January 2016 . 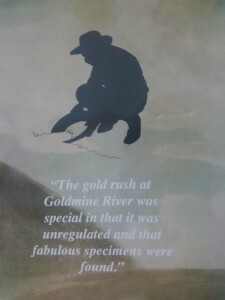 The volcanic rock parallel extending from the Croghan Kinshelagh area to Avoca and Rathdrum has been studied by geologists since Fraser’s map first appeared so that we have a good understanding of their age and how they formed. Mind you, not all rocks are uniformly well exposed so our knowledge of them is a bit uneven. Nevertheless over the last thirty years we have learned how they fit into the global kaleidoscope of changing continental and oceanic shapes and positions, a sequence of patterns which has been predicated by plate tectonics and seismic events. Sadly the consequences are determined as much by the effectiveness of the local construction codes as they are by the intensity of the seismic event itself. The Earth is a truly vibrant organism and we are not always in harmony with it. 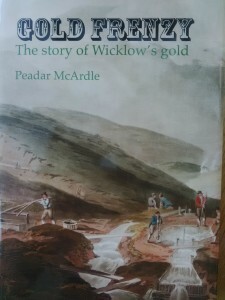 One implication of this context is that Wicklow’s landscapes have been far from constant throughout its geological history. The widespread siltstones and sandstones all accumulated at a time when deep sea covered the Wicklow area. Land would not have been visible in any direction over most of the period that sediments formed and yet the influence of the land would have been discerned. For this region was part of an ocean, Iapetus Ocean, which formed here (and was in time destroyed) long before there was any hint of the emergence of the modern-day Atlantic Ocean. The sediments were deposited on the southeast continental margin of this long-vanished Iapetus Ocean and were subsequently churned up and re-deposited in deeper water. This was achieved through the operation of sediment-laden deep-sea currents triggered by earthquakes or major storms. While considerable thicknesses of sediment were thus laid down in a matter of days, there could have been time lapses of centuries between each pulse. The different nature of the rocks formed reflects the different sources tapped for sediment over time. But inexorably, although imperceptible to an individual observer, the ocean itself was now contracting in size and the continents on opposing margins were approaching each other. They would eventually collide with each other, but before that happened, a series of volcanoes would develop in between, like beads strung out on a gigantic necklace which marked their junction. These volcanoes gave rise to the diversity of associated volcanic rocks, including those in Fraser’s golden zone of southwest Wicklow. The opposing continental margins did crash into each other, with one causing the other to sink deep into the Earth’s interior. All of the pre-existing rocks were stressed and heated, with the finer grained sediments developing a slaty cleavage. As increased heat partially melted the descending rock sequence, the resulting liquid magma buoyantly ascended along fault lines and fractures in the Earth’s crust, forming the considerable bodies of granite for which Wicklow is celebrated. This was the final act in the destruction of the Iapetus Ocean: the forces of plate tectonics would soon be realigned in a new European configuration that would lead to the next phase in Earth’s enthralling history. But let us revert to the necklace of volcanoes which will feature prominently in our story. We are now entering the Ordovician Period, a fascinating phase in Earth’s evolution, which lasted from 488 to 444 million years ago, a relatively extensive period of 56 million years. At the global level, the Earth was a very different place than it is today. Continents were all clustered in the Southern Hemisphere, and this is where the northern and southern halves of Ireland would eventually come together as the Iapetus Ocean finally closed. There was a very complex array of volcanoes, which were fed an abundant supply of lavas due to some spectacularly intensive convection, or ‘hot spot’, operating in this part of the Earth’s mantle. It was right in the middle of this fascinating Ordovician Period, about 450 million years ago, that the volcanic rocks of the Croghan Kinshelagh and Avoca district were formed..